I’ve spent the better part of today trying to get through to a person at the Australian Tax Office. Why would I want to do that? Well, I get an email yesterday – automatically generated – telling me My Debt Was Growing. Classy way to get in touch with someone I must say. At first, I thought it was spam. There were no details in the email, nothing except two hyperlinks at the bottom that didn’t work and an overt threat to pay a “debt” I have no recollection of. Now, let’s quickly get something clear. I have no problem paying this debt if it is legitimate. I have no idea if it is or not. It may well be. But I can’t get through to the Australian Tax Office to discuss the debt, nor how it came about. Is it something I thought paid, but missed, while I was paying a grand a quarter when I had my own business? Is it a debt from not paying enough tax during the first year of my small business? Any of these could be a legitimate reason for a possible debt. But until I can talk to a person who can look at my account and say “Yes Mike, the reason for your debt is XYZ,” I’m not paying a damn cent. Being unemployed and broke I’d have to make a payment arrangement anyway, and as I learned today, you can’t do that on the phone. The automated system advises you to go to the My Gov website and do it there. Of course, on that site, you can’t actually dispute anything or ask anyone for clarification or help. This Government has gutted it’s public service to bare bones level and the Australian people are expected to nod, smile and hand over money without any expectation of having the reason clearly explained. Given the current Centrelink robo-debt debacle, you would think the Government would be a more careful or at least ensure their systems allowed for personal contact. The Australian people are tired, and they’re angry and they’re sick of being treated like they’re as dumb as some our Senators. 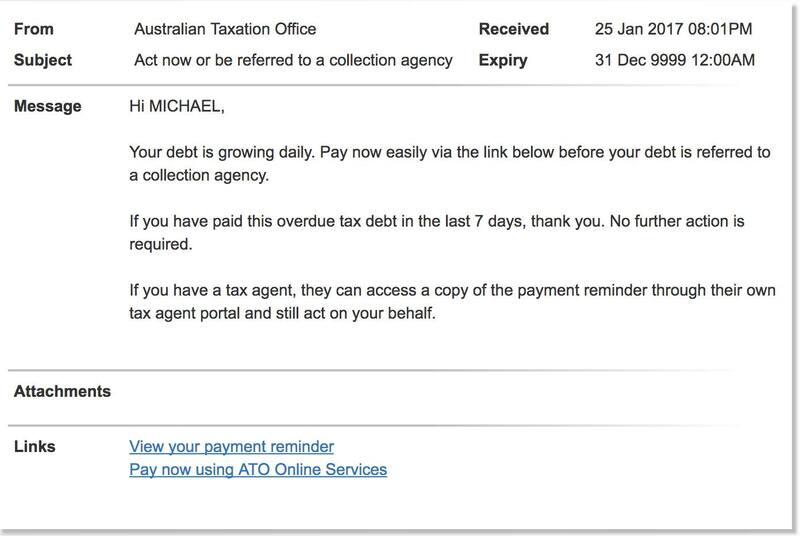 Given how ridiculously hard it is to speak to anyone at the ATO, I guess we’ll just have to wait for the ‘debt’ to be sent to the threatened debt collection agency. At least that way I’ll have someone I can ask “where did the debt come from,” and someone I can get some help from in arranging a payment plan. Because it’s obvious to me, the Government of Australia doesn’t care one jot about its people. The Government has gutted the public sector to its bare bones. Excellent piece by Mike Cullen. Previous PostAn unpopular opinion on tackling unemployment.